Erweitern Sie Ihr Hörerlebnis, indem Sie bis zu 100 HK Connect+-fähige Lautsprecher kabellos verbinden. Echo- und Noise-Cancelling ermöglicht kristallklare Konferenzgespräche. Einfacher Zugriff auf Siri oder Google Now über den Lautsprecher per einfachem Knopfdruck. Einfach zu konfigurieren über die HK Connect App. Hochwertiges Material und hervorragende Verarbeitung kombiniert mit einzigartigem Design ergänzen jeden Stil. Der Onyx Studio 4 bietet die perfekte Balance zwischen großartigem Klang, einzigartigem Design sowie hochwertigen Materialien. Und ist der Inbegriff raumfüllenden Klanges. 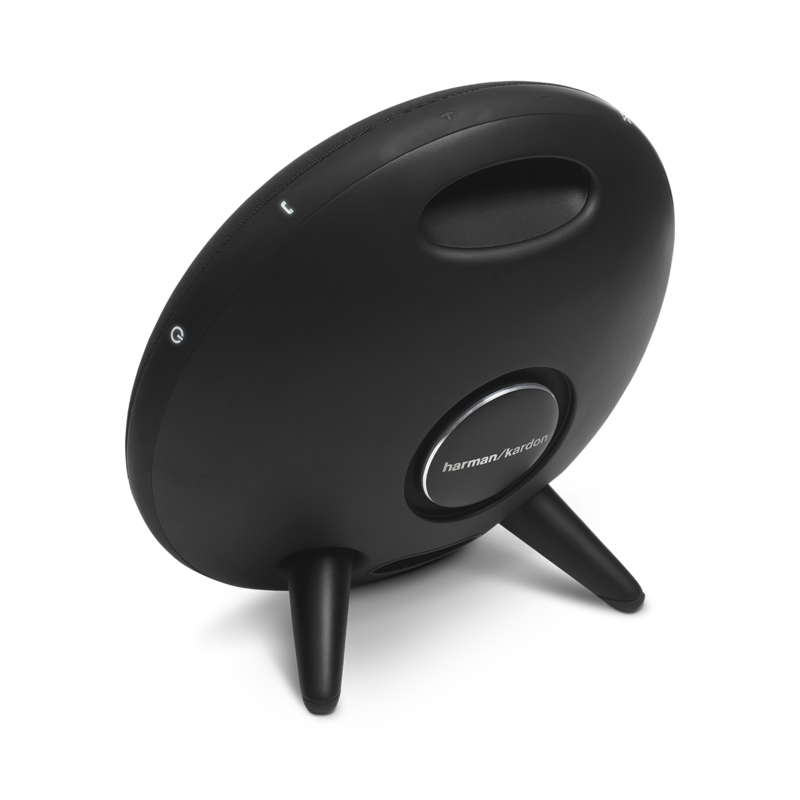 Der tragbare Bluetooth-Lautsprecher Onyx Studio 4 mit umfangreicher Funktionalität hat den besten Klang seiner Klasse. 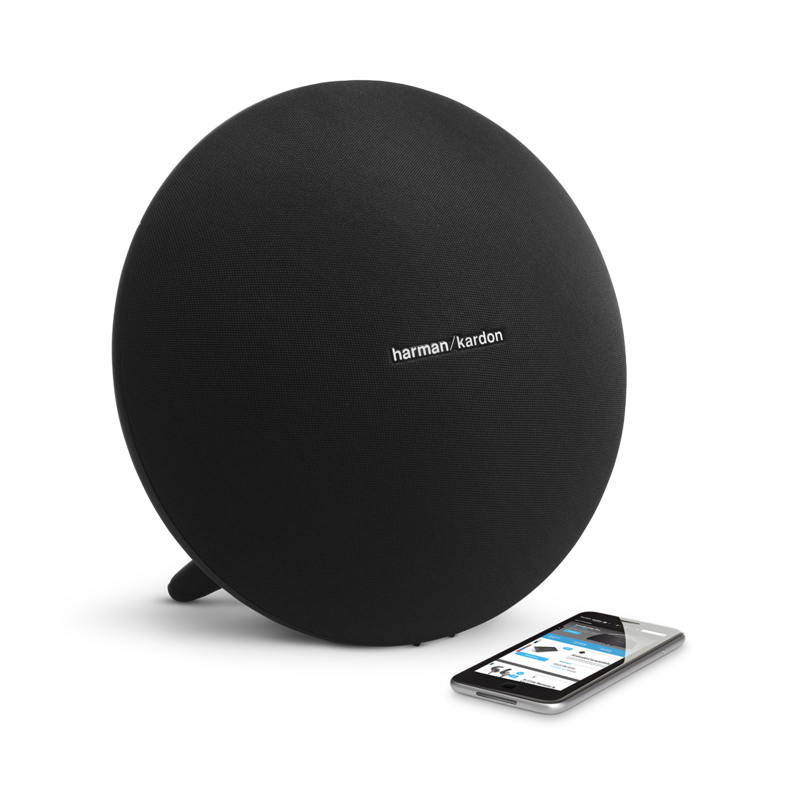 Er bietet Anschlussmöglichkeiten für zwei Geräte, 8 Stunden Wiedergabezeit und Harman Kardon Connect+, mit dem durch einen einfachen Knopfdruck 100+ Lautsprecher mit identischer Funktion angeschlossen werden können. Abgerundet wird das Angebot des Onyx Studio 4 durch ein eingebautes Mikrofon mit VoiceLogic Echo- und Rauschunterdrückung für kristallklare Konferenzgespräche über den Lautsprecher. 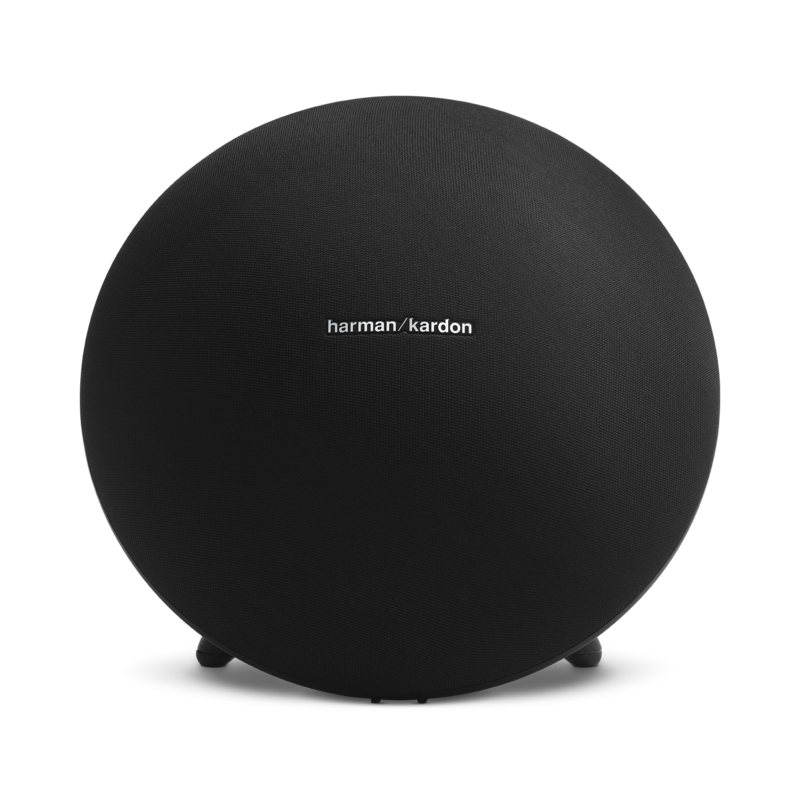 Harman Kardon Onyx Studio 4 wurde bewertet mit 4.2 von 5 von 324. Rated 5 von 5 von ShoneBT aus Superb! Update! After 8 months of having a pair of Onix 4's I am even more delighted than I was when I bought first one! If you plan to buy a home hi-fi without breaking a bank, my advice is to buy these. Position them as far away from the wall (to reduce not so controlled bass), remove the grills (to gain 1db in hf range), use app to pair them in stereo mode (for soundstage), tilt them (like studio monitors for imaging) and keep those tweeters at ear level (for detailed sound)... You won't believe what sound quality these bt speakers can produce. Now at 360 USD for a pair (in Europe), I can't find anything even close... Pure madness! Rated 5 von 5 von ShellyM954 aus Awesome Speaker My hubby bought this speaker just to try it out (we usually get Bose), after I suggested he try Harman Kardon since they made speakers for some Mercedes Benz models. This speaker delivers awesome sound quality. The bass is crazy!! (And I mean the good crazy) My sons love it so much they're purchasing their own. I also love that more than one person can connect to the bluetooth at one time, and that you can sync several of these together. Imagine having a party with these babies!! I'm very happy with this purchase. Glad we bought it. Now to try out the headphones. Rated 2 von 5 von Jakub aus Poor Bluetooth connectivity Great audio quality, but poor Bluetooth connectivity. This speaker just support SBC Bluetooth codec, does not support any high quality codecs. To get battery level (on android or apple), you must install HK app, share location, and wait 10 seconds for it to sync, because it creates a separate LE connection for just that. Can you please fix that ? Either implement HFP1.7, or the Apple "Bluetooth Headset Battery Level Indication". If you can't do that, at least use standard LE "Battery Service" rather than custom notification. Please fix the battery level in next firmware update. Rated 5 von 5 von BobJ aus If they could correct battery/charging issues... These would be best in class, period! One "solution" I found for the battery endurance issue was to buy a 20,000 mAh power bank that is capable of 19v output. The one I bought comes with several different size adapters that will plug into the OS4. Power conversion will eat a fair amount of power (unavoidable for ANY power bank), but what is left allows me to run the speaker at full volume for no less than 5 hours! It is as if the speaker were plugged into the wall electrical outlet. Rated 5 von 5 von Trevor aus The Best Bluetooth Speaker No other bluetooth speaker can compare to this masterpiece, perfect sound quality and with the easy link to other speakers, you can create easy surround sound. It's got a price tag, but the bang is worth the buck. The only problems I've experienced is an every once in a while skipping type sound. It's not my music I think, but I'm going to look into it. The speaker is still worth it overall, as I said, literally nothing can compare to this speaker. Rated 5 von 5 von Clit2ras aus White 4 looks great I've got onxy 2 3 4 all sounds the same and looks identical look out for 5 next year it will do the same just a name change and price hype so by earlier model when price will be massively reduced. Also brought two sound sticks 111 one come with Bluetooth acsess and other one only works with RAC jack lead same price so be careful when dealing with online shop but still a great product be careful you don't get stitched up. Rated 5 von 5 von Shone aus Great mid-range bt speaker! In Europe is priced at 200 euros and it's hard to find anything better in that price range. Balancing it with some eq is a must, otherwise bass is way too overwhelming, mids are recessed and highs are not well pronounced... But when you play with it for a few days, man it shines! Nice sound stage, punchy bass, good mids, solid highs and even some stereo separation... Planing to buy another one these days. That should be impressive! Hej, Jeg har for nyligt k&oslash;bt mig en Onyx Studio 4, til det form&aring;l at tilslutte den til min projektor, da den har aux stik. Men jeg oplever mange udfald med lyden. Er der noget der kan g&oslash;res ved det? 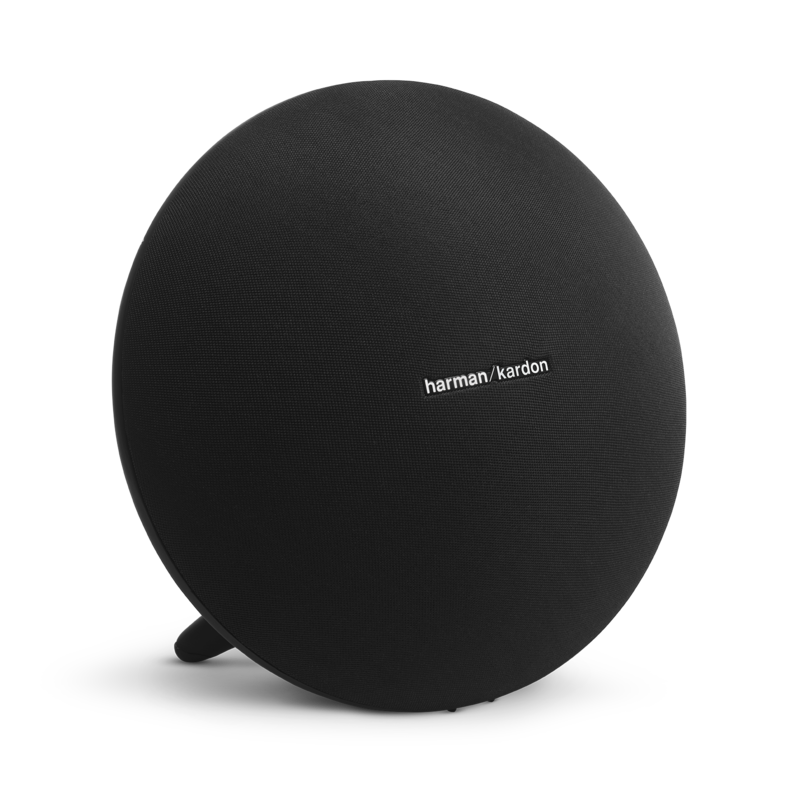 Hallo, Welches Ladeger&auml;t Modell benutz den Harman Kardon Kardon Onyx Studio 4? Meins ist kaputt gegangen, und brauche einen neuen zu kaufen. Vielen Dank f&uuml;r die Anfrage. 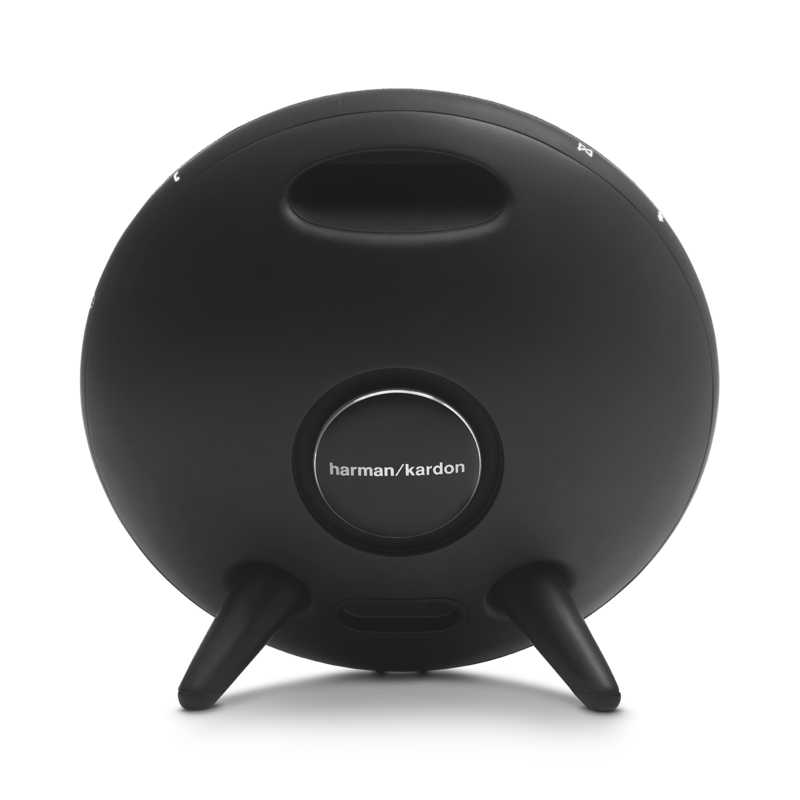 Sie k&ouml;nnen das Netzteil direkt in unserem Shop bestellen: https://www.harmankardon.de/lautspecher/FG81-ADT190-200GC-.html?cgid=speakers&amp;dwvar_FG81-ADT190-200GC-_color=Black--Current#brwseAll=true&amp;start=1 Vielen Dank. Comment avoir la st&eacute;r&eacute;ophonie si on les branches sur un ordinateur sous Windows ? Bonjour Fredagnan, Merci pour votre question. 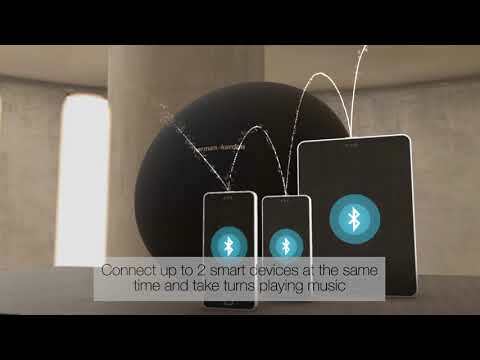 Malheureusement ce n'est possible a travers un ordinateur car pour avoir la stereo il faut passer par l'application HK connect. Cette application n'est pas disponible sur ordinateur. Si vous souhaitez recevoir une assistance personnalis&eacute;e, nous vous invitons &agrave; contacter le Service Client&egrave;le Harman par t&eacute;l&eacute;phone, par mail ou par chat. Vous trouverez toutes les informations de contact sur https://www.harmanaudio.fr/support-contact.html#ns. Merci.